Join us as we "Spring Into Action" during the HIMSS Iowa Chapter Spring 2019 Educational Conference. You will be able to earn CEU credits and learn more about medical devices relating to patient safety, legal aspects of telemedicine, and the EHR Vendor Market. We will have a special fire-side chat with UnityPoint Health's CIO, Laura Smith and Marshalltown Mayor, Joel Greer will host an in-depth discussion about Marshaltown Disaster Recovery. Non-members that register and pay for the Spring 2019 Educational Conference will get a free membership to the Iowa HIMSS Chapter for a period of one-year. An Iowa HIMSS Chapter membership is a great tool for industry leaders. 4:15 PM Prize Drawings - Must Be Present to Win! We are pleased to announce Bruce P. Eckert and Dennis Puls with KPMG as featured speakers. Their presentation is a formal analysis of the EHR Vendor Market. Mr. Eckert and Mr. Puls both conduct IT strategic planning engagements and system selection engagements for clients, and a formal analysis of the EHR market is often requested as part of those engagements. As such, attendees will better understand the EHR marketplace in the US and globally, the economic and business factors driving EHR vendor plans, the decisions and the likely evolution/maturation of the EHR as a product and a market, and how these changes will impact health systems using EHRs. The research behind this presentation consisted of in-depth analysis of the HIMSS Analytics Database, Medicare's Meaningful Use data files, plus a number of international sources. Mr. Eckert is an Advisory director in KPMG's Healthcare Provider practice. He received his Bachelor of Science in Mathematics from University of Chicago and his Master of Business Administration from Michigan State University. In his role as a healthcare policy and information technology leader, he works with clients to leverage data and information assets for analytical purposes, benchmarking, quality reporting, quality improvement, and predictive analytics. He consults with clients on key strategic questions facing healthcare providers including IT cost take-out, health information exchange strategies, analytics and business intelligence, payment reform, and Meaningful Use. In addition to HIMSS, Mr. Eckert is also a member of the American College of Healthcare Executives, and the American Economic Association. Mr. Puls is a manager in KPMG's Advisory Services practice. He received his Bachelor of Science in Industrial and Systems Engineering with a Minor in Finance from San Jose State University and his Master of Business Administration from National University. 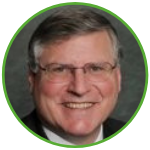 In his 27 years of experience focused on advancing healthcare through the use of technology and interdisciplinary collaboration, he has served as vice president of IT and CIO at a mid-size health system provided assessment and strategic planning for healthcare organizations, managed large projects and operating/capital budgets with complex implementations, and fulfilled interim leadership positions. 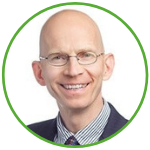 Aside from HIMSS, Mr. Puls is also a member of the College of Healthcare Information Management Executives, and the Maine HealthInfoNet Technology Committee. Attendees will learn about the availability and integrity of patient information and its importance to patient care including the cyber risk and the links to patient care and safety. The session will span beyond traditional IT assets to biomedical devices and operating biomedical devices and clinical systems, while incorporating risk management into the medical device and clinical systems lifecycle. Mark is an information security professional specializing in information security, auditing, risk management, GRC, regulatory compliance including HIPAA / GLBA / PCI-DSS / SOX / FERPA / EU Safe Harbor; training and process consulting. Excellent communication skills; MPA with years of teaching and staff supervision experience. Specialties: Information Security, Healthcare IT, HIPAA Compliance, Technical Audits, Training, Meaningful Use, Risk Analysis & Risk Management, Disaster Recovery, Business Continuity, Data Breach Response, SOX, PCI-DSS, GLBA, HIPAA, FERPA and EU Safe Harbor. Laura Smith serves as Vice President, Chief Information Officer of UnityPoint Health and began this role in 2016. In this capacity, she is responsible for a centralized Information Technology Department across the entire system. She is passionate about creating an environment where team members can do their best work and providing business process-enabling technology solutions to the customers she serves. Laura has been with UnityPoint Health for sixteen years serving in many roles within the Information Technology department. Most recently she held the position of Vice President, Information Technology Operations where she was responsible for Information Technology Governance and Operations of the IT Enterprise including the areas of new affiliate integration, financial sustainability, clinical and business applications and customer service. Laura holds a bachelor’s degree in Management Information Systems from Iowa State University and a Master of Business Administration from The University of Iowa. Laura is a member of Health Information Management Systems Society (HIMSS) and College of Healthcare Information Management Executives (CHIME). She also serves on the Technology Association of Iowa Board and will be the 2020 Chairwoman. She has been named Becker’s CIOs to Know for the past three years and was named CIO of the Year in 2018 by the Technology Association of Iowa. Joel Greer, Mayor of Marshalltown and Mike Miller, CEO of Racom will discuss disaster recovery and their experience with the Marshalltown tornado. On July 19, 2018 a tornado with EF3 impact traversed the downtown business district, extending significant damage path to housing and Lennox industries. Twenty two injuries were reported and hospital services located in the downtown district were impacted. This session will describe the immediate efforts taken during the disaster as well as ongoing activities associated with disaster recovery. Speakers will share their insight and lessons learned related to business continuity. Current Risk Management & Legal Considerations in Telemedicine: A Brave New World or Much Ado About Nothing? Room block under: HIMSS Iowa Spring Conference for April 2nd. Anyone who pays registration fees and cannot attend the event may send a substitute. Cancellations prior to April 1st will be refunded the registration fee minus a $25 processing fee. If you do not cancel your registration, then you will be billed the registration fee. No refunds will be made for cancellations after April 1st. To cancel or change reservation, please contact Caitlin Allison at caitlin@innovatisgroup.com or 615-432-5431.